If you’re in college and you look hard enough (or barely glance), your Facebook News Feed is teeming with photos of cocktails, beer pong and flip cup matches, keggers, and drunken selfies. According to a study, young alcoholics are prone to leave proof of their dependencies all over their social media accounts. Using a test group comprised of college students, a group of researchers from the Seattle Children’s Research Institute decided to correlate alcohol dependency and social media use. In an interview with Komo News, Megan Pumper – a member of the research team – said they decided to target freshmen because they are almost instantly exposed to the pressures of drinking. Employing the theory of planned behavior, they examined the Facebook accounts of college freshmen to look out for early signs of alcoholism. They also made students take the Alcohol Use Disorders Identification Test (AUDIT). Another interesting thing to note is that the respondents were 100 percent aware that their Facebook profiles were being monitored for an alcoholism study, but that didn’t stop them from talking about it. This makes Facebook and other popular social media platforms an almost accurate basis of reality – at least when it comes to college kids constantly partying and having the time of their lives – and an even more reliable determinant of substance abuse. “If someone is dependent, it is likely references to alcohol will show up on their profiles … College students are hard to reach, so we should use tools like Facebook to try to help them,” Pumper told Komo News. 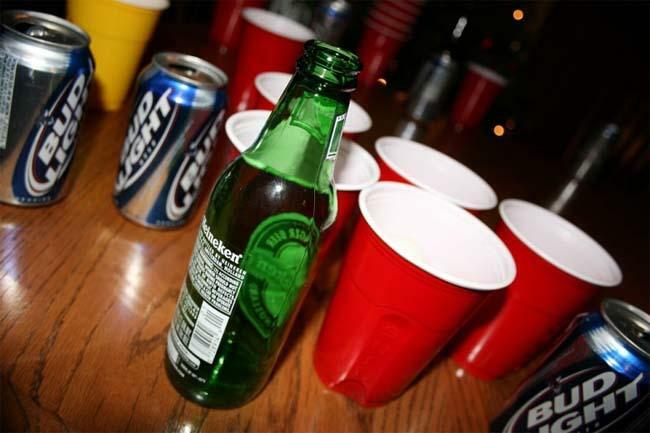 The group intends to continue the study for three more years; if there’s one thing they learned from the initial results, it’s that one is never too young to develop alcoholic tendencies, and we (parents, students, loved ones, yourself) should keep a mindful eye on social media posts so it would be easier to spot and acknowledge a potential drinking problem. Of course, it’s also worth considering the effect Facebook has on users who want to exaggerate or brag about their drunken exploits: A post describing a night so crazy, you drank a fifth at a rager and blacked out … could have just been a bottle of wine and some Arrested Development reruns. Still, the study could obviously help young alcoholics who need to get a handle on their drinking before it – and their Facebook posts – spiral out of control.